After getting 22,590 votes in the Democratic primary for the LD9 state Senate race in Tucson, Victoria Steele has picked up a Republican write-in opponent. Steele, a former member of the Arizona House of Representatives from 2012 to 2016, collected 82.2% of the votes in the primary. Now a political nobody called Randy Fleenor has gotten 698 write-in votes (363 were needed) to be the Republican candidate the November ballot. Fleenor is an electrical engineer who works at IBM. He spouts the usual GOP tripe about not raising teacher salaries, expanding school vouchers and not raising taxes. Even though Fleenor has never been elected to public office, he was put up for the job by Republican national committeeman Bruce Ash. There will be an official hand count audit & write-in ballot tally on Sept. 1. 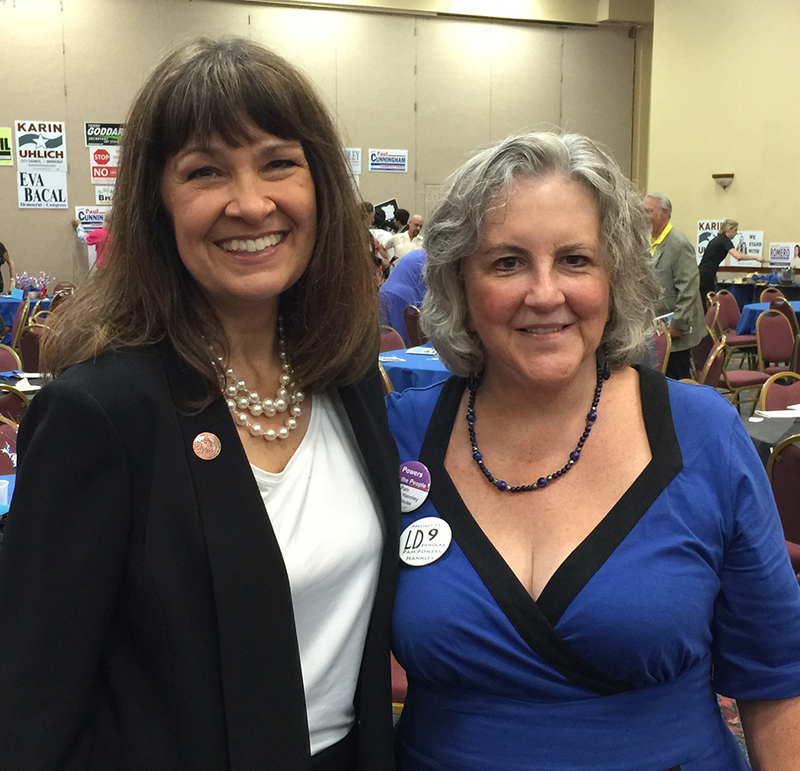 LD9 is the best-organized Democratic district in Arizona, with 250 precinct captains (an increase of 91% from 2016). By any measure — whether it is registering voters, signing up people for voting early or meeting voters face to face — the volunteers in LD9 is have risen to the challenge. Immigration reform. “We cannot put kids in tents and cages,” she said. After Trump’s zero tolerance policy on the border kicked in, he tried to use undocumented children as bargaining chips – hostages, in essence – to get Congress to give him what he wants along the border. Saving public schools. “Public education is under fire. The Republicans are absolutely trying to destroy it,” she said. “We need people to fight. I got a lot of things passed when I was in the Legislature, more than the average legislator. I’m very good at working behind the scenes to make bad bills less bad.” Victoria Steele is a former Democratic member of the Arizona House of Representatives, representing District 9 from 2012 to January 11, 2016. Congress approved the ERA in 1972, but it had to be ratified by 38 states. In the 1980s it got pushed away by right-wing hater Phyllis Schlafly and anti-woman legislation. Victoria, what do you plan to do about the water shortage? Do you do rainwater harvesting in your own yard? Do you plan to encourage more rainwater harvesting in the city? Dry wells? More curb cuts irrigating native trees? Limits to the amount of water we use for lawns? Fight the Rosemont mine? Stop development that would deplete the San Pedro River? What do you plan to do? It’s too bad we can’t have both candidates here. Jim Love has been devoted to community service for years. His school district and Arizona are better for his dedication.